76ers, summer fans: Bring on the heat! 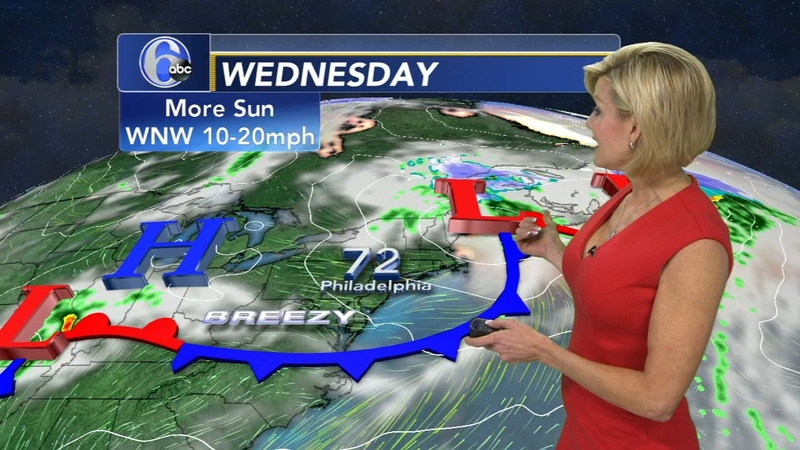 PHILADELPHIA (WPVI) -- Fans of the Philadelphia 76ers and summer-like weather are both saying the same phrase this weekend: Bring on the heat! Coming off their 16th straight win to close out the regular season, the 76ers have their sights set on the Miami Heat in the playoffs. 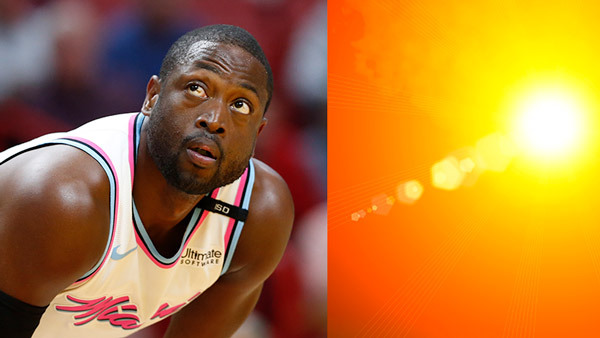 They will be hosting Dwyane Wade and company on Saturday. The team needed a win Wednesday night to cement a third place finish in the Eastern Conference. Joel Embiid and JJ Redick watched from the bench, Ben Simmons had a scoreless first half and the Philadelphia 76ers still won their 16th consecutive game, thumping the Milwaukee Bucks 130-95 to clinch the No. 3 seed in the Eastern Conference. They left the Milwaukee Bucks looking like deer in headlights after a 130-95 victory. 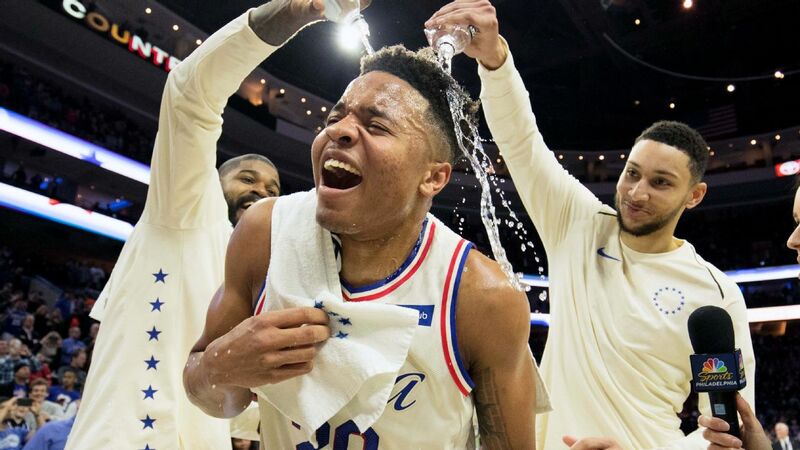 Rookie Markelle Fultz became the youngest player in NBA history to get a triple double. Markelle Fultz ended his up-and-down rookie regular season on a high note, as he became the first teenager to post a triple-double in NBA history. Outside the Wells Fargo Center and around most of the area this weekend, it will feel like summer. Temperatures will be soaring starting with a high of 80 on Friday, the warmest number we've recorded in Philadelphia since last October! Then on Saturday, the heat is on with a high of 82. While records won't be broken - record high is 89 for Friday and 91 for Saturday - it will still feel pretty nice after the cold stretch that has hovered over the region since winter's end. The seach for spring in the Delaware Valley. Annie McCormick reports during Action News at 6 p.m. on April 7, 2018. Saturday will see mostly sunny skies. And fans are forecasting a bright future for the 76ers starting with a Game 1 victory. Lifelong 76ers fan makes half-court shot. Tamala Edwards reports during Action News Mornings on April 12, 2018.